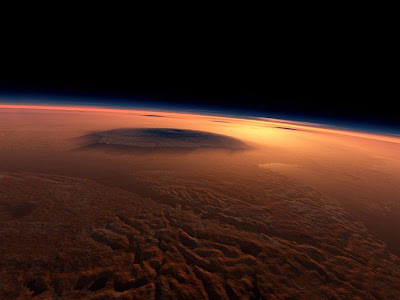 Olympus (Latin Olympus Mons) – an extinct volcano on Mars, the highest mountain in the solar system. Before the flight spacecraft (which showed that Olympus – mountain) this place was known to astronomers as Nix Olympica. 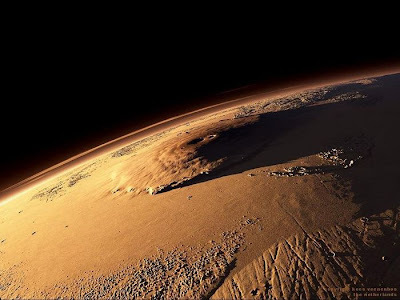 The height of Mount Olympus – 27 km to the base, and 25 km to the average level of the surface of Mars. This is several times higher than the highest mountains on Earth. Olympus extends for 540 km in width, and has steep slopes on the edges of up to 7 km. Causes of these giant cliffs have not yet found a convincing explanation. 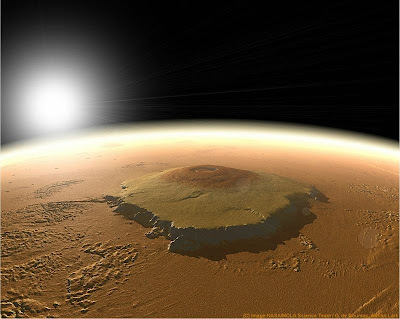 The length of the volcanic caldera of Olympus – 85 km, width – 60 km. 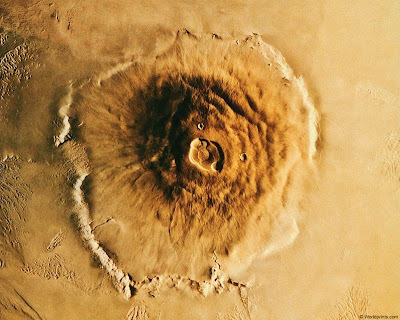 Depth of up to 3 km caldera thanks six volcanic craters. 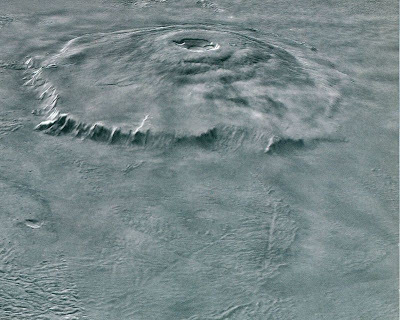 For comparison – in the Earth’s largest volcano Mauna Loa in Hawaii, the diameter of the crater is 6.5 km. 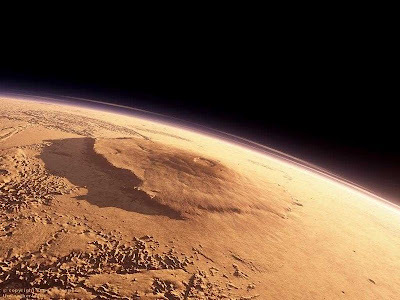 Pressure on the top of Mount Olympus is only 2% of the pressure characteristic of the average Martian surface (for comparison – the pressure on the top of Mount Everest is 25% of that at sea level). 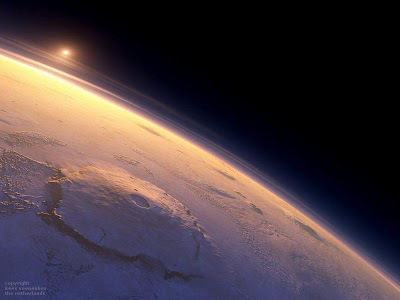 Olympus is a large area so that it can not be seen completely from the surface (the distance required for a review of the volcano, is so great that it will be hidden by the curvature of the surface). So full of Olympus can be seen only from the air or orbit. Similarly, if you stand on the highest point of the volcano, its slope will go beyond the horizon.